As you go about your daily business, your skin is going about its own. Skin cells that have been around for about 25 days are starting to shed, making room for the new skin cells that will be taking their place. Sometimes the old skin cells remain attached to the surface of your skin, which can create challenges for the new skin: blackheads, whiteheads, rough texture, or an uneven appearance of the skin tone. When the natural process of shedding the dead, dry skin cells doesn't work, you need to step in and help it along. Keeping the skin exfoliated helps ensure that your other skin care products, like serums and moisturizers, are more effective. When they don't have to penetrate a layer of dead skin cells, they can target the new skin cells, which is where they need to work. It really is a super-exfoliator, but very gentle. It has made my skin pimple free, and baby smooth for years. When applied nightly, the Overnight Facial Resurfacing Serum gently, and effectively corrects multiple surface signs of aging while you sleep---truly! You see, when we sleep, our body is a RESTorative process. The bottle retails at about $59.00, and you can buy it directly through the company's website, or at my favorite place, Sephora. If you want vibrant, luminous, skin this product is truly a must-have. Additionally, if your pores are large, you have dry skin flakes, or your skin color is uneven, you will find that this product can turn your skin around. Get, "Come Hither Eyes", Now!!!! The very first thing to take notice of, is the skin quality around your eyes. Do they appear sluggish, dry, or have dark circles? Do you have crows feet, puffiness, or broken capillaries? These symptoms can be contributed to genetics, stress, or nutrition. If you are not able to get the optimal eight hours of sleep, there are other ways to combat. Drinking plenty of water (8-10 glasses a day), flushes our system of toxins that can show up under the eye. Investing in a great multi-vitamin, balanced out by great nutrition is a must as well. I personally love, 'Womens One A Day', but would recommend consulting with your primary care physician of course. Now that we have dealt a little with what is within, finding a great eye cream is a must. You may ask, "Why can't I just use my normal moisturizer?" The answer is, the skin around our eye's are much more delicate, and should be treated accordingly. For example, we wouldn't put the same cream on our hands, as we do on our feet. If you have drier skin around your eyes, and want to combat/prevent crows feet, or wrinkles, I would recommend a rich emollient cream like, 'Shiseido Benefiance Eye Cream'. You can also try their eye patches. They are absolutely wonderful. I just leave them on for one hour, once a week. They provide an instense replenishing of moisture to the eye area. So, how do you apply eye cream? Remember to use PATTING motions. A dime size should be plenty for both eyes. AVOID the eyelid, as we do not want to get in product in our eyes. Just pat, pat, pat, under neath the eye area. Always use clean hands or a q-tip, so as not to get bacteria in the product. Next, choosing the right concealer is a must. I love Bobbi Browns line of concealers. They blend effortlessly, and do not crease. You can layer the product to get the affect you so desire. They come in all shades, and even the most sensitive skins have no problem using this product. 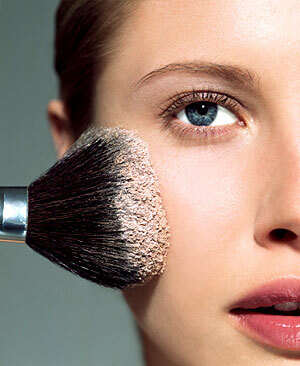 To apply your concealer, start over the eyelid with your fingers, or concealer brush. Next, lightly pat the product in underneath your eyes. 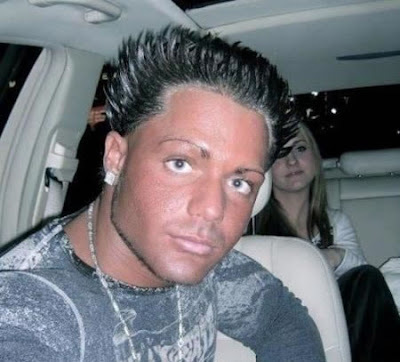 I like to apply three little dots, and then blend. Applying concealer over your lids, will give your eyeshadow more staying power. Additionally, it is perfectly fine to apply concealer over your eye cream. You don't have to spend an arm, and a leg to find eyeshadows that will enhance your eye's. I personally love, Almay's line of eyeshadows that are customized for one's specific eye color. They come with their own accompanying eyeliner, shadow, and mascara. If you need an instant pick me up in the morning, and want a subtle shimmer for the eyes, you will LOOOOVE 'Nuetrogena's Soothing Eye Tint'. It has a cooling effect, and instantly awakes the eye. These tints can be found at Target, and come in all different shades. Women who have loose skin over their eyelid, or wrinkles, should always stay away from shadows that have shimmer. Shimmer highlights every flaw you have over the eyelid, when the light hits. Stick with matte colors. Your next step should be, an eyelash curler. Don't be afraid! You can do it! Don't let the appearance of this device alarm you. The purpose of curling your lashes, are to open the eye. The first step, is to start with clean, dry eyes. I always curl my lashes after my eyeshadow is applied, but always making sure there is no residue from the previous day's wear of mascara. Open the curler, and place your upper lashes inside it's mouth. Close your eye slightly, then open it; all of the lashes should move into the curler's mouth. Always hold so that the mouth is parallel to your lashes. 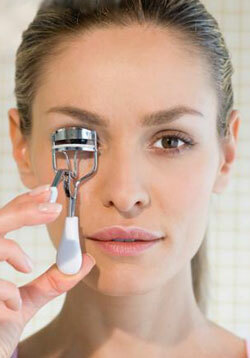 Move the curler closer to the eye until the tool comes to the base of the lashes, but not over the skin of the eyelid. Keep the eye open and slowly close the curler. Your eyelashes should fan out evenly across the upper bar. If at any time you feel pinching, readjust the curler. Hold the closed curler for a slow count of five, keeping your hand and face steady. Repeat for additional volume. Repeat with the other eye. Lovely!!!! Lastly, are you wondering where some women, including most celebrities, get that certain "je ne sais quoi" in their doe-eyed expressions and come hither glances? Here's their secret: false eyelashes. Did you know that most "lash lengthening" mascara ads feature models who are wearing eyelash extensions so we'll all want to run out and buy that brand of mascara and its wand? Well, no wand waved over the average set of lashes is that magical, but here's how you too can fake your way to luscious lashes. I have attached a video, that will give you step-by-step instructions. My gorgeous client Amy after lash application. Well there we have it! A full mini-lesson on how to get those eyes that you have always wanted! You're on your way! One of my favorite places in town to work with (when I am doing weddings), or even stay at is the wonderful, amazing, posh Renaissance Hotel. Located right in the heart of downtown Columbus, this hotel is truly the place to be!!!! The service is top notch, staff is amazing, decor, vibe, energy---OMG!!!!!! I can't get enough of this place..
What sets the Renaissance apart from other hotels for your wedding is that they have an outside pool deck area which is fantastic for ceremonies, or cocktail receptions. The fantastic Latitude 41 restaurant, and their complete dedication to service. Why book a wedding here? If you are not already convinced (smile), I should tell you that, you are able to upgrade to suites, have breakfast in bed the day after your event, and so much more!!!!!!! Contact Channin Holden sales, and catering manager :) 614-228-5050 I hope to see you for your wedding!!!!!! !